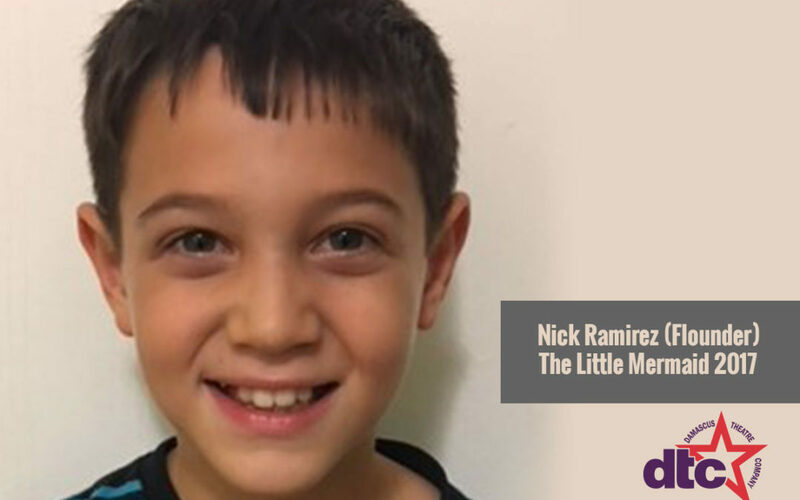 Nick Ramirez, age 10, plays Flounder in Damascus Theatre Company’s upcoming production of Disney’s The Little Mermaid. He has been acting for one year and already shows the promise of a bright future! 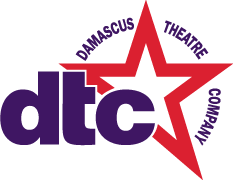 Nick was in the DTC Kids production of The Lion King JR as Young Simba last spring. This is only his second show. He likes to act because the music is beautiful and it allows him to express himself. His favorite part of the show is listening to every musical number in the show. He feels that each song is so unique and different. His family is five strong. He is surrounded by his lovely mother and father and his crazy little brother and adorable sister. Each day is a new adventure in the Ramirez family. He is half Spanish and half Italian which makes for a very exciting lifestyle. His family is always fun and crazy! Nick hopes to be an actor and an artist when he grows up. For now, he is in the fifth grade and his favorite subjects are art, music and social studies. Fun Fact: Nick is very interested in all Disney movies and is always excited to see upcoming and new Disney films. Come see Nick perform the role of Flounder from November 10-19!